A little while ago I reviewed the Naked Chocolate Palette over here on Lipgloss & Lashes, and since then it's become one of my most used palettes. However at the same time as receiving the Naked Chocolate palette, I also received the 'I Heart Chocolate' and 'Death By Chocolate' palettes, so I thought it was about time I showed them the love they deserve over here on the blog. 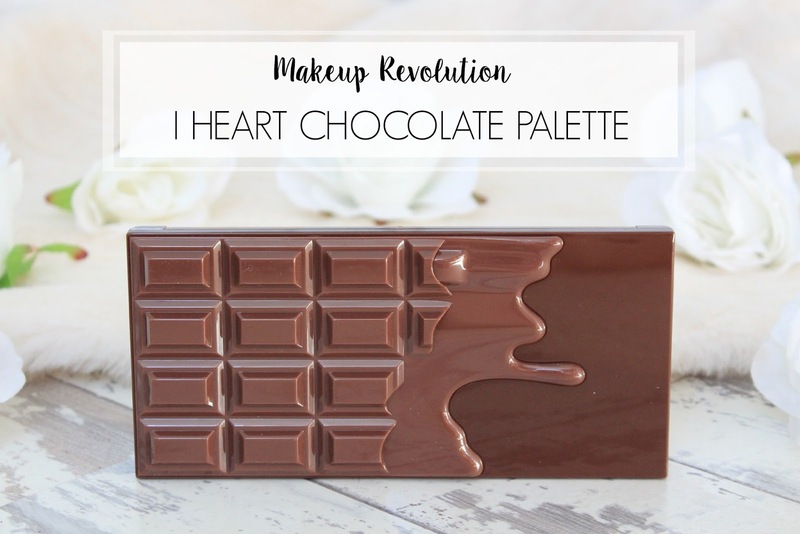 Today I'm going to be talking about the 'I Heart Chocolate' palette and then on Sunday I'll go through the 'Death By Chocolate' palette, so if you're choosing between the two then hopefully this should help (or make the decision even harder, who knows!). Let's just start off by stating the obvious, this is a blatant rip off, or shall we say 'dupe', of the Too Faced Chocolate Bar palette. Honestly, I don't really know how Makeup Revolution get away with all of their copies, some of them are just so similar. So as you'd expect, the palette is laid out exactly like the Too Faced palette and similarly, contains 16 shades ranging from mattes to satins and shimmers. I really like how the palette contains such a good mixture of shades and finishes, as there's just so many looks you could create with this. The palette contains two highlighter shades which are larger, a range of browns, golds, olives and a light pink and a purple. I'd say for the most part the formula of these shadows is spot on. 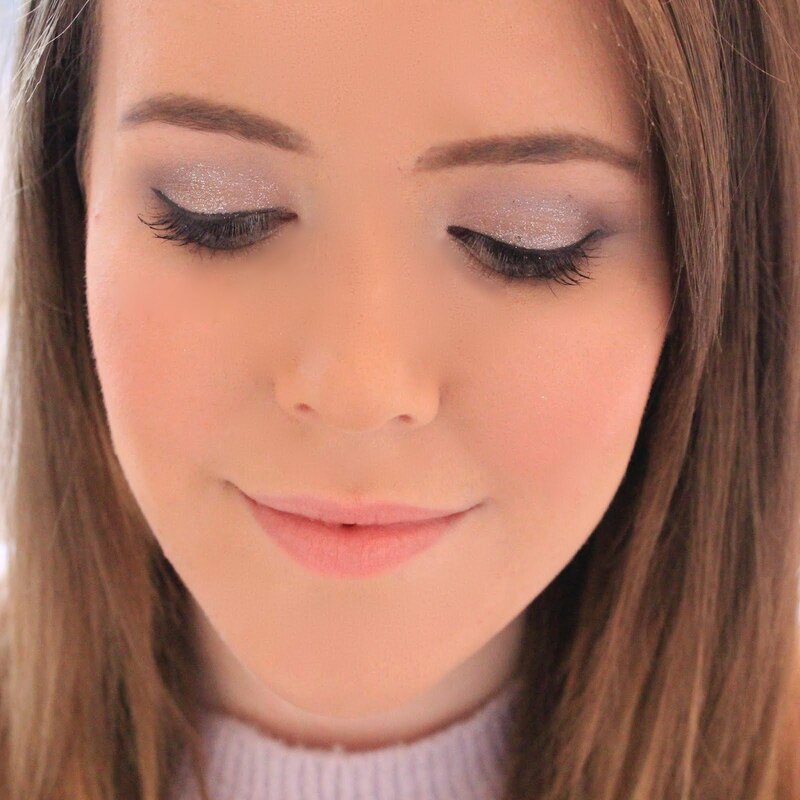 The shimmers in particular are excellent - they're soft and buttery, blend out like a dream and fall out is kept to a minimum. However, some of the lighter matte shades are a little less pigmented so take a couple of layers to really build the colour up. For me this isn't an issue as I rarely wear matte shades however if you're a matte lover I could see how this would be a problem. 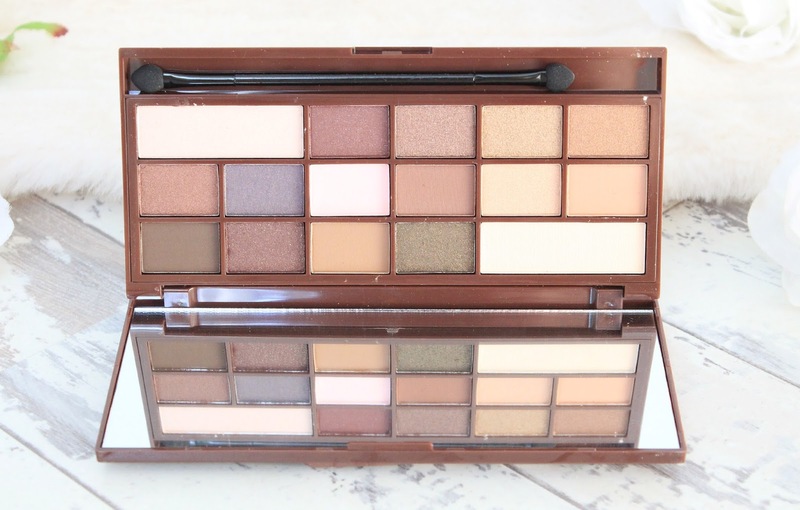 Overall I really like this palette, the formula is generally really good, it contains a good range of shades and is one of the best (along with the whole 'chocolate' line from Makeup Revolution) neutral eyeshadow palettes I've tried from the drugstore. This will only set you back a mere £7.99 which I think is a brilliant price for the quality and number of shades you get...the only real downside? It doesn't smell like chocolate like the Too Faced palette does! The swatches are just beautiful! I would love this for everyday use! What a pretty palette and the shades are so nice plus I love it looks like a chocolate bar.